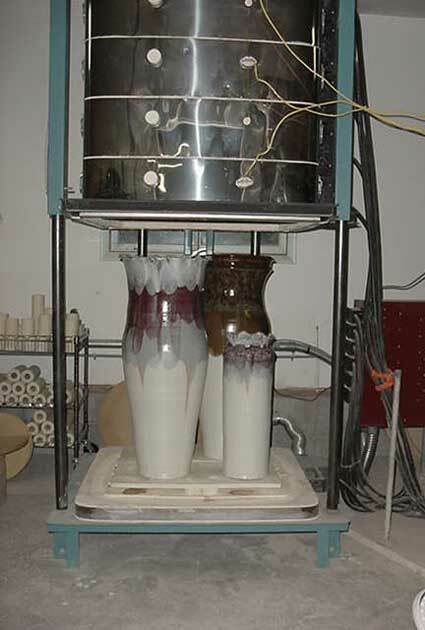 I'm an artist who thinks big..
Sam Machulis started throwing pots in 1970 at Southern Utah State University, where he graduated with a composite Art major in 1973 in Ceramics and Watercolor. He pursued and obtained his M.A. 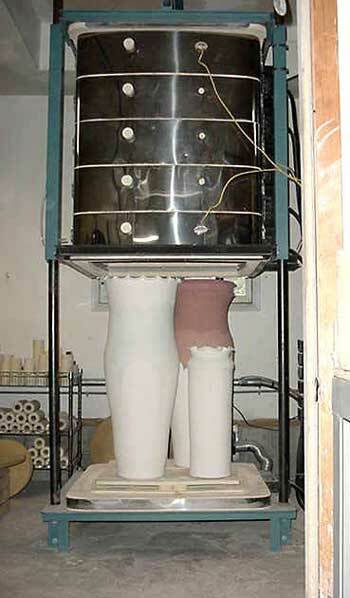 in Ceramics from Central Michigan University in 1982. 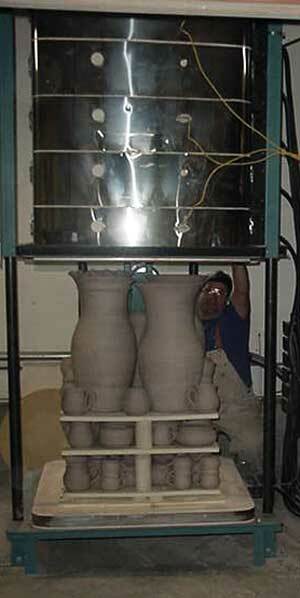 Some pots which Sam has thrown weigh up to 150 pounds. 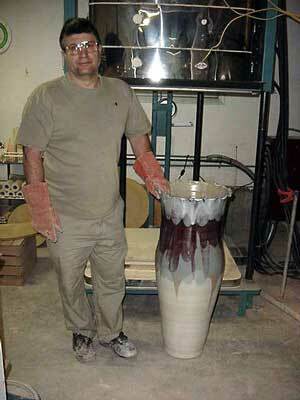 Most of the larger pots which he makes have sculptured relief work applied and carved on- and through - them. The functional ware have his own unique handles applied which have either been "pulled" or thrown on the wheel. These decorative handles have become a trademark of his work. Sam has taught art at various levels, worked as a full-time potter for 17 years, and is currently teaching art at Alpena's Thunder Bay Junior High as well as doing his own artwork Besides doing a few select art shows, Sam currently has his art displayed in galleries in Midland, Alpenia and Cheboygan (all in Michigan). 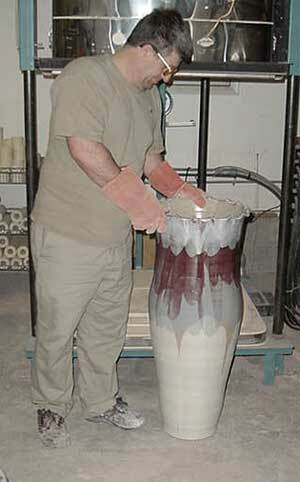 Since 2001, Sam has been firing his larger pots in an L&L DaVinci Bell-Lift (Model X3236) that he purchased from Ruynan Pottery Supply in Michigan.